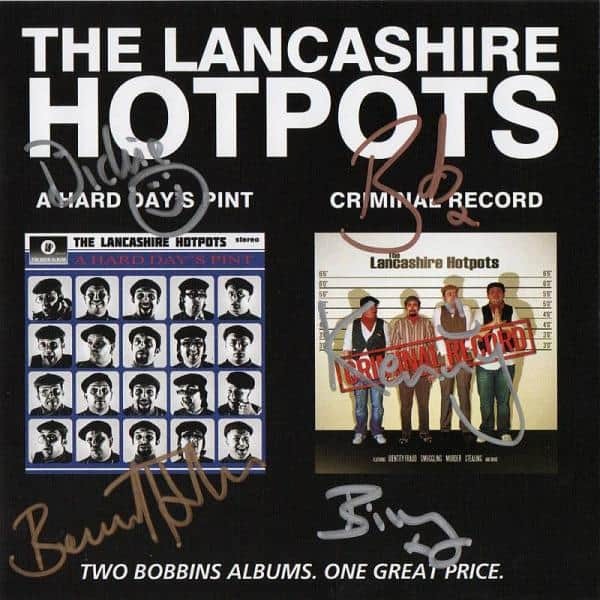 There’s only one thing better than a Lancashire Hotpots album, and that’s TWO Lancashire Hotpots albums. We’ve repressed two classic Hotpots albums Criminal Record and A Hard Days Pint, stuck ‘em on one CD and passed the savings onto you. Each copy is personally signed by all five Hotpots (wowsers) and at just £5 you can’t afford to miss out on this slice of Hotpot history. Get one now. In fact, get two.